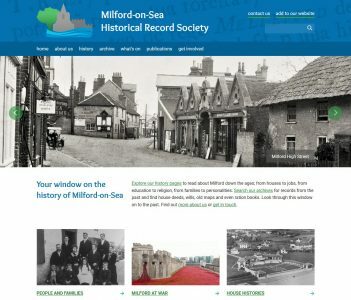 Congratulations to Milford-On-Sea Historical Records Society on the launch of their new website: www.milfordhistory.org. Explore their history pages, read about Milford down the ages; from houses to jobs, from education to religion, from families to personalities. Search their archives for records from the past and find house deeds, wills, old maps and even ration books. Look through this window on to the past. You can also find information on their meeting, events and publications. MOSHRS were supported by Heritage Lottery funding to digitise their archive and build this wonderful new site, so once again thanks to all of you who buy lottery tickets and congratulations MOSHRS. Great work! The Christopher Tower New Forest Reference Library houses one of the most comprehensive collections of books, maps, reports and ephemera on the New Forest available to the public in a single location. The Library is stewarded by a team of volunteers. Wednesdays 10.00am – 4.00pm and Fridays 10.00am – 12.30pm and outside of these times by appointment with seven days’ notice. The New Forest’s past can be discovered at the Christopher Tower New Forest Reference Library’s Open Day on Saturday 11 November. 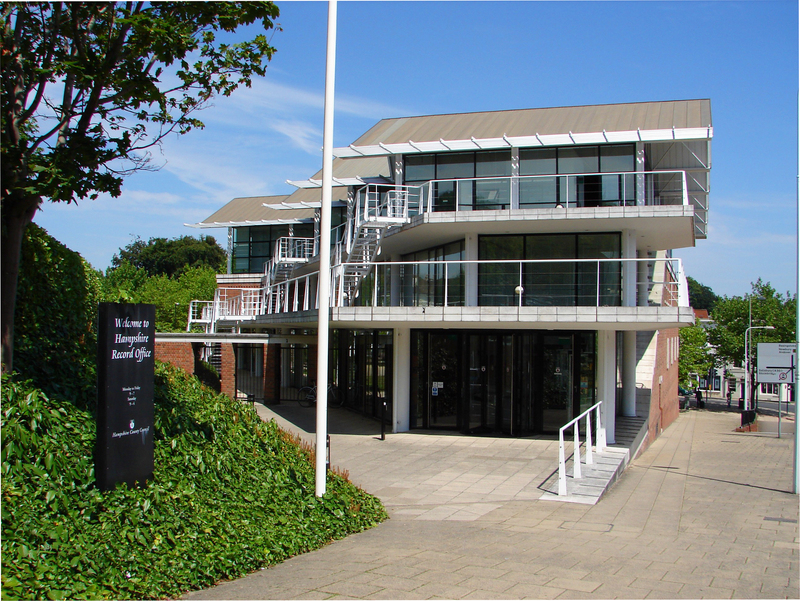 Situated on the first floor of the New Forest Centre in Lyndhurst, the facility was opened in 2004 following the building’s renovation funded by the Heritage Lottery and the Christopher Tower Foundation. Christopher Tower, who was educated at Eton Christ Church, Oxford, was the author of nine poetry books and travelled extensively in the Middle East. He spent his later years in Athens and the New Forest. The Library contains one of the largest collections of books, maps, photographs, reports and ephemera on the Forest, available to the public in a single location. It is also home of the Ecademy Project, one half of the team behind New Forest Knowledge. As it is Armistice Day, the recently acquired Simmons collection of WW1 photographs, medals and ephemera relating to East Boldre airbase will be on display along with other sources on the subject. The WW1 aerodrome at East Boldre first started in May 1910 as the New Forest Flying School, the second flying school in the UK. The site then became a RFC and then an RAF base during WWI. Staff and volunteers will be on hand to help with enquiries in the Library between 10am and 3pm when members of the public are invited to drop in. There is no need to book. The New Forest Heritage Centre has made its historic poster collection available to view on the New Forest Knowledge website. Volunteers have catalogued the posters and digitised them by scanning and using image composite software to stitch the individual scans together. The results are seamless. They put each of the posters into its own preservation grade sleeves to protect it. It also includes recent acquisitions such as a list of people entitled to vote in the election of a knight of the shire, the formal title for a member of parliament (MP) representing a county constituency in the House of Commons, for the parish of Eling dated 1878. Explore the complete collection here. The Role of Commoning in the Maintenance of Landscape and Ecology: A New Forest, National and Global Perspective. Date: Monday 29th October 2018, 9:30am-5pm. 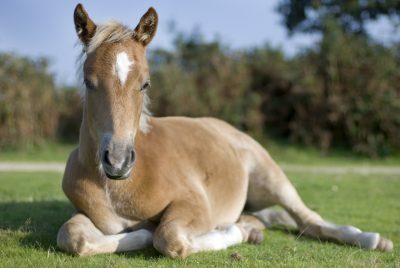 Commoning is recognised as important in the survival of the New Forest: a prized reserve for endangered species and a beautiful landscape enjoyed for recreation. The New Forest commoning system has been described as unique in North Western Europe, characterised by the exercise of common rights by 700 commoners. This conference will consider the use and significance of common pool resources from a historical, local, national and international perspective. Speakers include researchers from HIWWT, Foundation for Common Land, University of Southampton and Community Research Institute. Organisers reserve the right to make changes to the programme. This paper was presented at the New Forest Knowledge Conference 2018 entitled: The Role of Commoning in the Maintenance of Landscape and Ecology: A New Forest, National and Global Perspective. Commoning Voices is an interpretation project, developed to complement the Shared Forest behaviour change work. Commoners are by their nature private people and as a result are largely invisible in the general discourse about the New Forest. Whilst people talk about commoning they rarely talk about commoners. Through the project we have empowered commoners to tell their own stories in their own words. With professional support commoners have embarked on social media and people are fascinated by the Real New Forest commoning stories which are emerging. Commoning Voices is showing people who are dedicated to the commoning way of life and the important contribution it makes to the New Forest. Local history societies showcase their work and share experiences. The Community Archive Forum provides an opportunity for local history societies and similar organisations to showcase what they have been doing; to network; and to share their experiences. It enables anyone with an interest in the county’s history to hear what is happening at local level and be inspired to get involved. 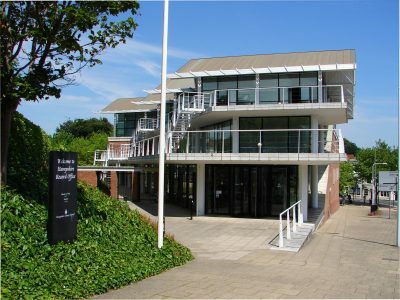 The Forum is now a collaborative venture between Hampshire Archives and Local Studies and the Local History Section of the Hampshire Field Club and Archaeological Society. With contributions from: * Milford on Sea Historical Record Society * Christchurch History Society * Ashburton Court, Southsea, research project * Hyde 900 * Hampshire Constabulary History Society * plus a panel discussion on publications. This is a free event, and places are limited. To book, please telephone Hampshire Archives and Local Studies on 01962 846154 or email archives.enquiries@hants.gov.uk no later than 25 February. Comyn’s New Forest, edited by Jude James, provides a window into the early 19th century world around Boldre and Brockenhurst. It shows and maps every household in the two parishes (which included East Boldre and Sway) more than a generation earlier than any county directory and a quarter of a century before the first census information. It was written by Henry Comyn for his successor in the parishes, the Rev Charles Shrubb. The details that Comyn provide have been enhanced by a great deal of research from the editor to make this book an extraordinarily useful resource not only for family historians but for all with an interest in life in the New Forest. Extensive indexes have added to the accessibility of the material and together with the numerous illustrations provide a most interesting introduction to life in the area before the reign of Queen Victoria.